In the craziness of the end of the year, I missed my 2nd blogiversary. I started this little blog on May 21, 2014, as a space to reflect and to try and give back to all of those who have helped me. It has grown into something much bigger than I expected and I am very grateful to all of you who take time to read my ramblings. In honor of my 2nd blogiversary, and my last day of school, I will be having a special 1 day sale on TPT. 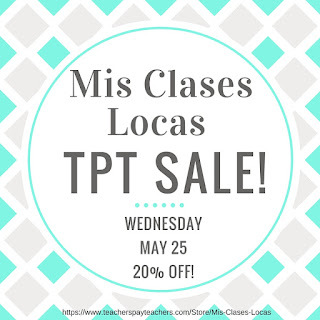 On Wednesday, May 25 all products in my store, Mis Clases Locas, will be 20% off! Go check out your wish list, since this is the time to purchase them. There are final exams and assessments to help make your end of the year easy. Remember to go back and rate products you have purchased to earn FREE credits that you can use to make purchases like money. 20 credits = $1 and add up fast if you are a TPT regular like me! In order to keep growing and improving this blog I would LOVE your Feedback. If you take the time to fill out this super quick, 4 question google form by May 31, I will enter your name in a drawing for ANY product from my store for FREE. Have a great end of the year & thank you for reading! It is that time of the year when we need just a little something extra to finish up the year. I know that most of these are not rocket science, but at this point most teacher's brains need a little help and a link as a reminder. Here are a few ideas to keep students (and teachers!) engaged. 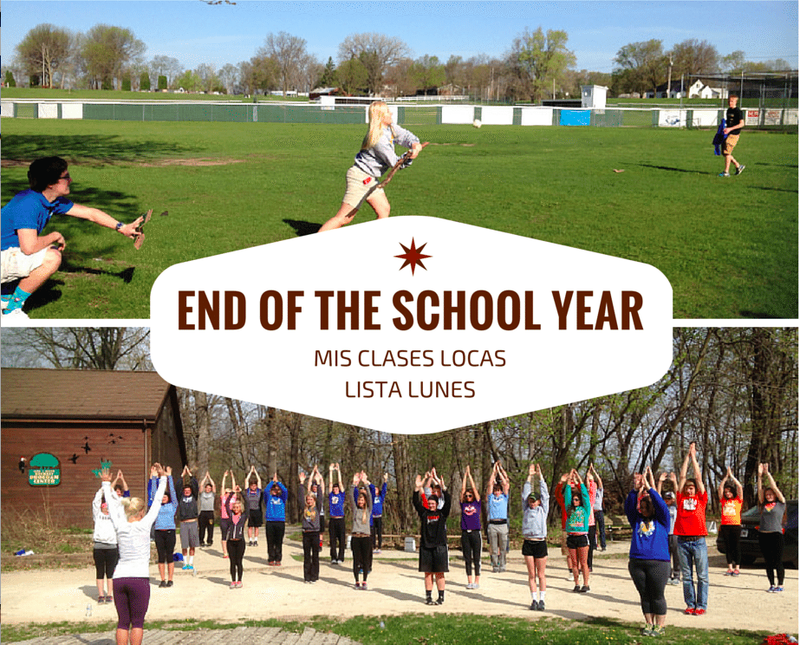 Even if you are tied to a certain curriculum, the crazy end of year schedule sometimes allows for some flexibility. 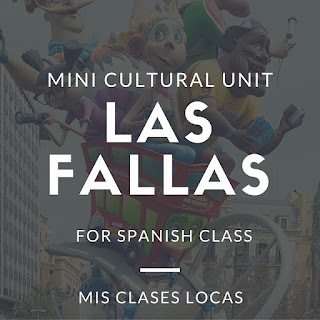 If you have a few days extra, a mini cultural unit is perfect! I put together a few of my favorite mini units in this post. Some ideas include La Guerra Sucia or Las Fallas. Music is almost always an engaging way to hook students. You could focus on one particular song if you only have a day, or could do a music bracket, where students listen to many songs and vote on their favorites. Sometimes with wacky end of the year schedules a movie is perfect. For example my exploratory class gets to watch a movie in Spanish during the long finals classes, since they do not have finals. 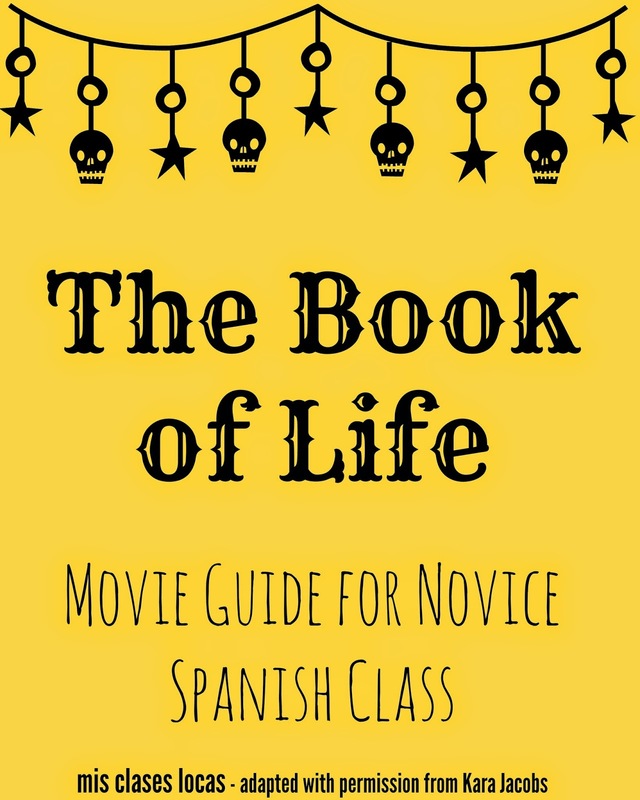 The Book of Life or Canela would both be great movies for a novice class to watch. There is a guide posted if they need a little something to keep them focused and on track. Everyone loves being a part of a good story. Even those in upper levels if you see this post. Check out Martina Bex's site for inspiration on story scripts and activities to go with them. Make it relate to their life such as crazy summer plans, and keep it fun with props. You can never go wrong with a wacky song from Sr Wooly. I can not wait to have access to Sr. Wooly Pro next year, since we are purchasing it as a part of our curriculum budget! This packet of activities would be great to transition to summer, or to give to students as supplemental optional enrichment over the summer. 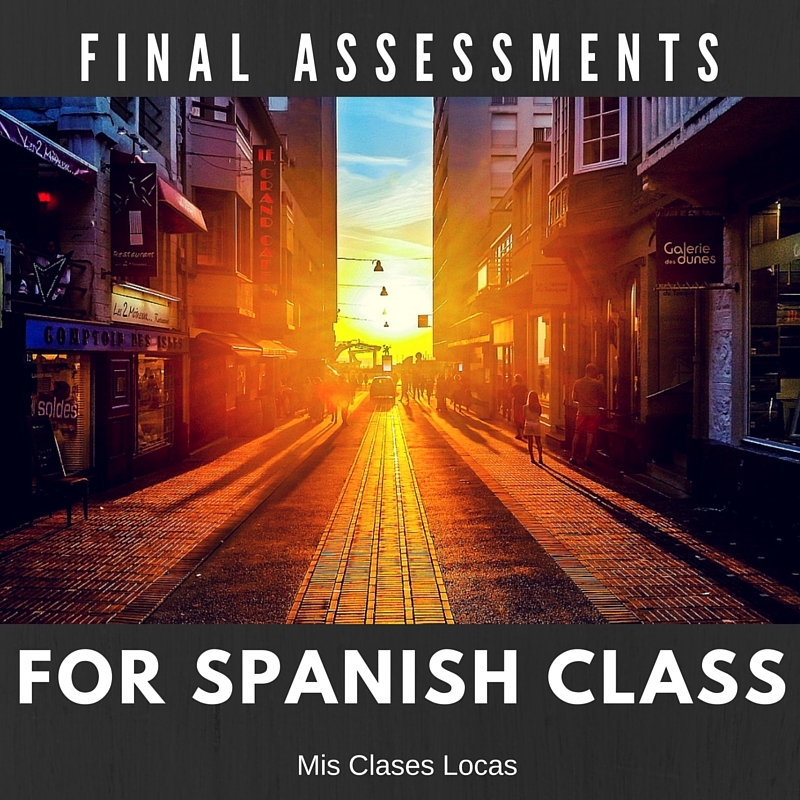 One summer I gave it as an option to complete over the summer for those returning to Spanish, as was pleasantly surprised with how many students completed it! Here is another list from Maris to help keep up student proficiency over the summer. Here was my post from exactly one year ago with more ideas! This is the time of year when teachers reflect on their start of year goals. You have all seen the memes of teachers in August and teachers in May, and can completely agree with the feeling. In August we are refreshed, bright, shiny and full of new ideas, but by the end of the year you just start thinking, there is always next year. 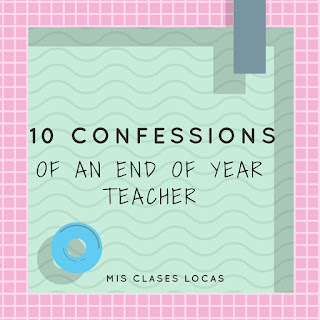 At the end of 1st trimester I wrote 10 Confessions. Here are 10 more for the end of year teacher. I do not think my hair has seen a blow dryer or heat tool in the month May. As I sit here before school my hair is literally straight out of the shower, air dying. It is a rotation between wet braid, wet ponytail, or dry shampoo something. We can just pretend I am doing it for the health of my hair. This week my 2 year old had a full on morning meltdown not wanting to go to "school." I almost joined him. When Spanish 3 & 4 suggested spending the end of the year watching and discussing El Internado, I was all for it. Sitting in the dark and not having a lot to prepare. Deal. 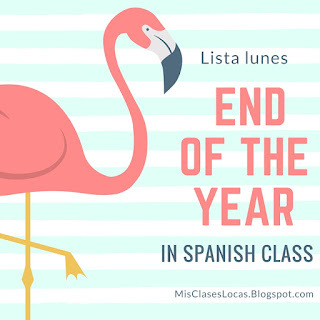 (Final El Internado Exam Season 1 & Exam Seasons 1-2 & 1-3). This also applies to the exploratory class ending the year with El Libro de Vida. As a high school teacher, the idea of attending the ton of graduation parties every weekend in May is exhausting. If I can not attend them all, I often choose to attend none. The effort it takes to sit down and grade a stack of essays or exams requires: a tour around the school scavenging for food in the lounges, a trip to fill up your water bottle, an aimless walk to chat with your favorite teacher you share prep with, a trip to the bathroom since you drank the whole water bottle, a chat with you favorite office ladies, attempting to plan your entire next year's curriculum, and the will power of super human strength to finally sit down with your pen. By the time you finally do, the bell rings 5 minutes later and your prep is over. My phrase of the week poster has literally not changed all year. Semana 1 - nice job Sra. 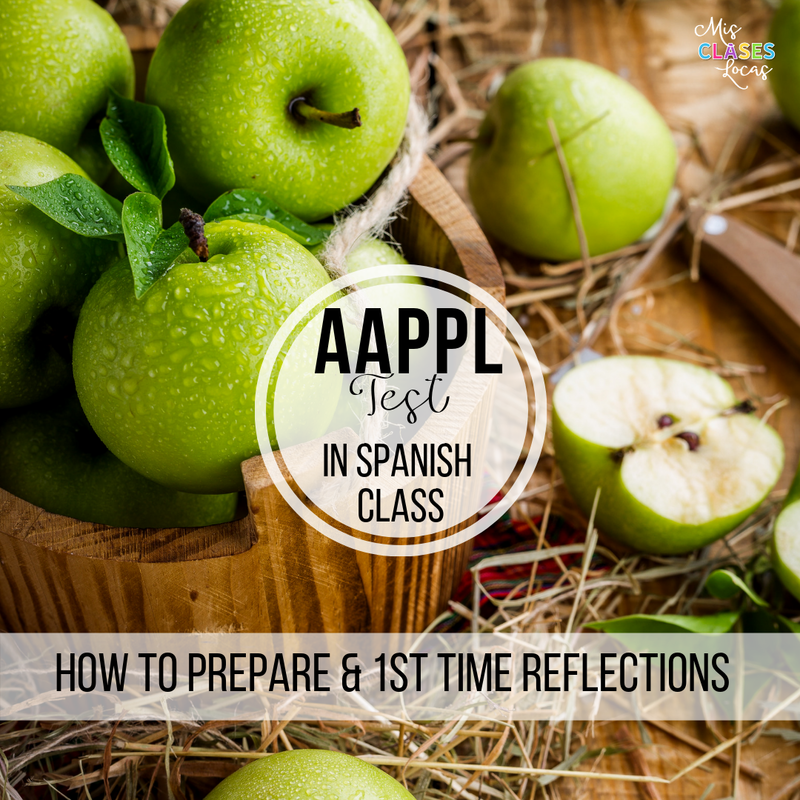 Regular weekly procedures such as Para Empezar have lately only been showing up randomly by student request. This week I threw out two perfectly organized binders from my first year teaching, one sorted by grammar topic and the other by Avancemos textbook chapter. (Except you know I took the time to pull everything out of their perfect sheet protectors to reuse them, because #binderaddiction). Last year I posted about spring cleaning, but this time not just certain activities went, EVERYTHING did. This trimester I have a class with one student. Yesterday she was finished with her final project, since like a great student she worked on it at home. I gave her a few options, and she decided to help me organize, clean and pack up my storage cabinets. Even though I have been secretly counting down the days of school left, I am sad that I will not even return to school until November, since I will be on maternity leave with baby #2 the first day of school and will be on maternity leave. I know that one week into the summer I will be consumed with planning for next year. I will get giddy with the thought of back-to-school shopping, and spend countless hours this summer working to make next year the best year yet, because #weareteachers. 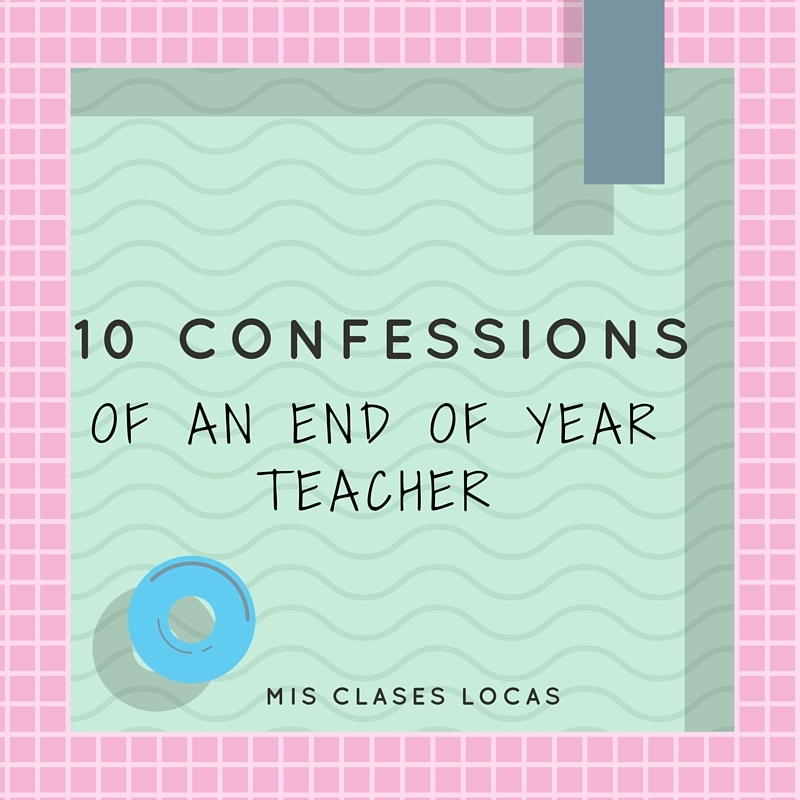 What are your end of year confessions? Music Bracket - Round 2! One of my most popular posts this spring was March música miércoles madness. 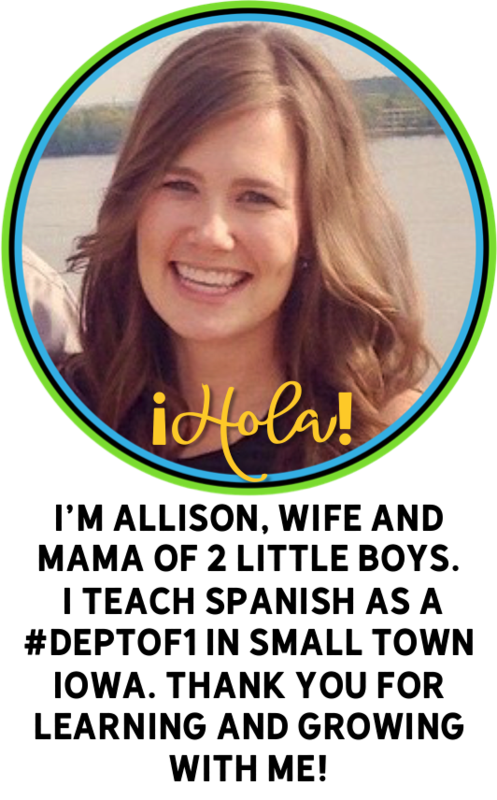 It was adapted from last year's Música miércoles - bracket style based from this awesome post from Bethanie Drew. Our first bracket was such a hit, that they begged for another round. Our march final bracket with the winner Danza Kuduro! I usually would have only done it once, as to keep it from getting stale, but since we were changing trimesters and I was getting 3 new classes of kids, including the other half of the 8th grade for exploratory, I decided to go for it. We once again voted via Google form for requests to be a part of the second bracket. This time the four quadrants were: upbeat favorites, dramatic power ballads, baile viernes & new songs they had not heard this year. You can see how the second bracket played out in the first picture above, with Waka Waka as the winner. For logistics, all classes watch and vote for one pairing each day via twitter poll. I have a google slideshow with both videos for the day embedded, that is projected with a video playing as they walk in. Once they have listed to both songs, they vote on their own, and we may discuss why they voted the way they did. For 8th grade exploratory, it was a perfect way to talk about I like this song because, and I do not like this song because, using me gusta. To keep it easy, all classes had the same bracket, and as a school decide who wins and moves on. This way on the giant bulletin board we can all follow along with who is winning. I also have a youtube playlist of the songs which keeps things organized for me, and for students to use if they are voting on their own. It is that time of year again when everyone is trying to figure out how to assess their classes. We are down to the home stretch, as we will be out before Memorial Day this year. Here are my tentative plans for the classes I am teaching this trimester. I wrote a post earlier about my Curriculum for this year. This is my 4th group of junior high students as a part of 6 week exploratory Spanish. I have tweaked their final project each time to meet the needs of the class. I started with having them write and do something with a story, but I knew that would not work well for my class that was very IEP heavy. They had the additional option of instead, just using a story from class and interpreting it. Here is a cute example of a puppet show made by a couple extra special students. Here was the adapted Exploratory Project Description (with options). You can see the original final project in this post. Since it is an exploratory class, during finals, they get to watch El Libro de Vida in Spanish with English subtitles. 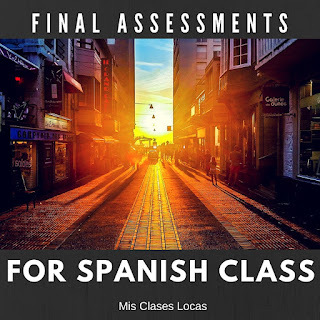 For my trimester long Spanish 1 expansion, they will be ending the year investigating a topic of their choice, and then presenting it to their class in Spanish. You can see the 12 week plan in this Culture & Civilization post. So far students have mentioned researching topics such as tamales, Los Incas, or visiting Puerto Rico. Interpretive - Create projects either individually or as a group to share with the rest the class what their book was about & how it relates to culture of the Spanish speaking world. Gallery walk including presentational writing, interpersonal speaking, presentational speaking & interpretive reading of the book. This post gives more information about this project, which came from the awesome teacher's guide. What do your final assessments look like this year? please share in the comments! 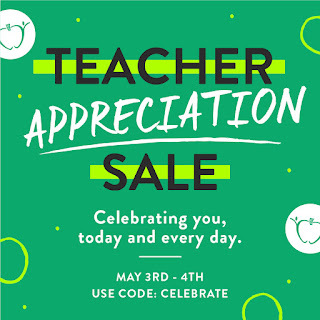 Today & tomorrow there is a site wide Teachers Pay Teachers Sale. 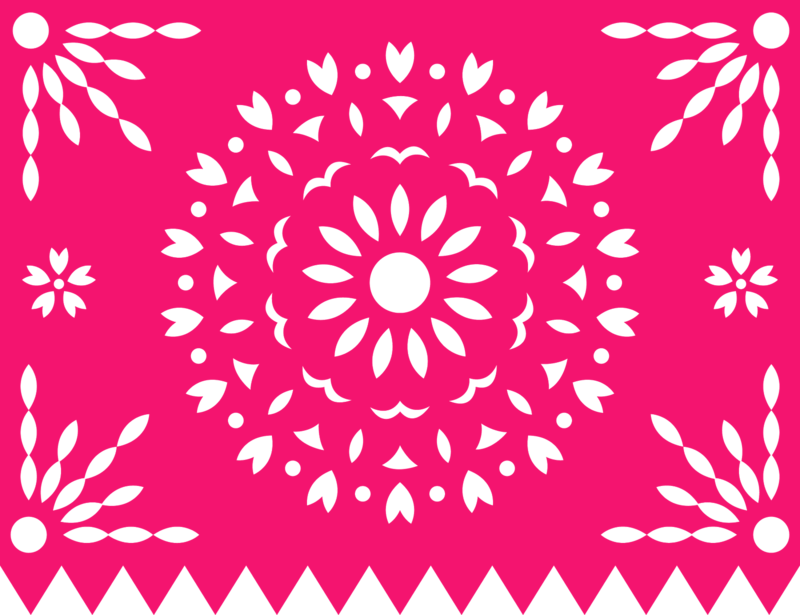 Use the code CELEBRATE for additional savings on every store, including Mis Clases Locas! Happy Teacher Appreciation Week! Here are my newest additions to TPT to check out. 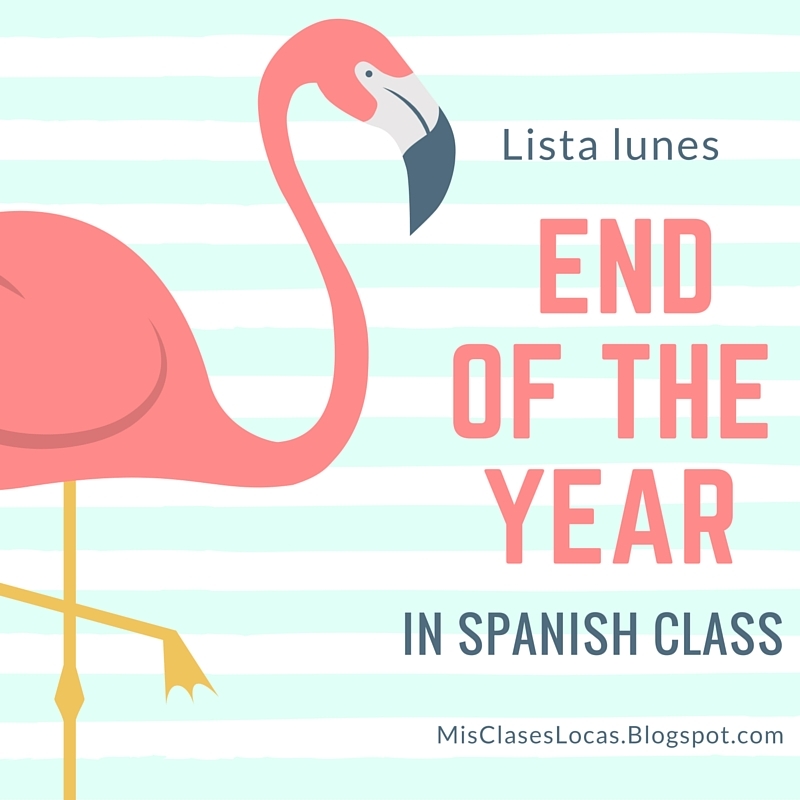 Also, all of my Para Empezar bell ringer slideshows make for fun end of the year activities incorporating music and dance in Spanish class! So, do not forget to go shopping this Tuesday & Wednesday (May 3 & 4)! To finish the year, Spanish 4 is reading the novel La Calaca Alegre by Carrie Toth. I already posted about teaching chapters 1-5 & teaching chapters 6-10. Here are all posts with the label La Calaca Alegre.